Labour Party delegates yesterday unanimously approved the re-naming of the party from The Workers' Party - Malta Labour Party to Partit Laburista, abbreviated as PL. The delegates also approved a change to the party's emblem which however did not discard the torch that was seen by Paul Boffa, the first Labour Prime Minister, as representing progress and a guiding light. The party's conference, with the title Progressivi (progressives), was convened to discuss proposals for a wide-ranging change to the party's statute. The three-day conference will come to an end tomorrow morning. Addressing yesterday's session, deputy leader for parliamentary affairs Anġlu Farrugia said the progressive element meant the party had to renew itself. The Nationalist Party in government was seen more like a "rightist regime", he noted. 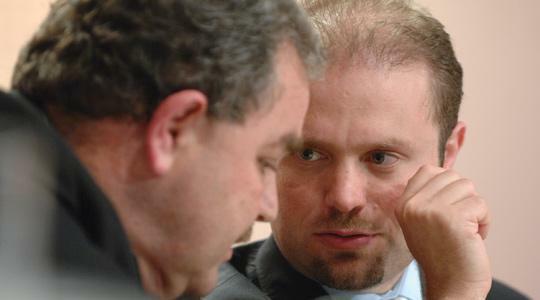 The deputy leader said the Labour parliamentary group was confident that, with Joseph Muscat at the helm, the party would achieve its goals. Repeating what he has been saying since the general election in March - that he knows of votes that were bought by the PN to win the election - Dr Farrugia said he had documentation to prove that the PN stole the election and the Labour Party was ready to publish it. Malta still had no Data Protection Commissioner, three months after the person occupying the post passed away. He read out an SMS from a disgruntled employee of the Data Protection office who said he was fed up at work and wanted to leave. This, according to Dr Farrugia, meant that this employee was fed up of the PN's interference and it wanted to control him and the office. Talking of injustices, Dr Farrugia said people who won cases against the government were owed a remedy and until then the government could expect no favours from the Labour Party in opposition, not even pairing. The party's other deputy leader, Toni Abela, compared the Labour Party to a ship that entered the Drydocks for renovation and will now begin its voyage, with its final destination being Castille.